sand blasting and decorative coatings. Powder coating provides you with a durable finish that is designed to last a lifetime and retain its luster. 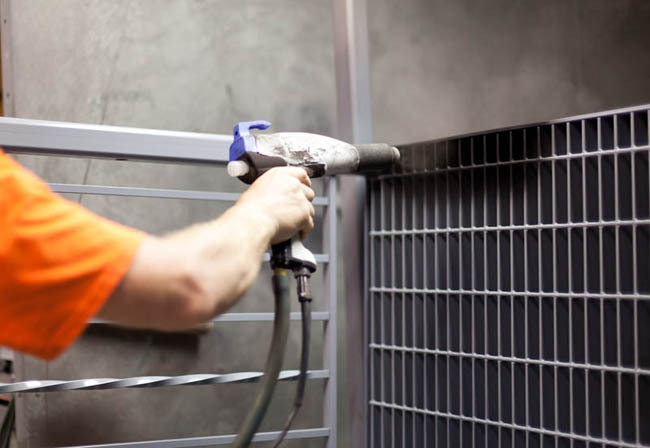 Powder coating is an eco-friendly alternative to liquid paint and high VOC chemical paint solutions. Our state of the art facility produces zero VOCs and recycles 100% of all materials. Stop by our shop today or explore our site to see color samples and get a price quote.